Folklore in New World Black Fiction: Writing and the Oral Traditional Aesthetics, the recent book by Chiji Akoma, Ph.D., focuses on his new readings of African folklore. 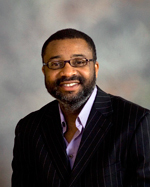 Dr. Akoma will present his scholarship on Wed., Feb. 11, from 2:30 to 4:00 p.m. in the first floor lounge of Falvey. His talk, open to all, will be of special interest to those in Africana Studies, as well as those intrigued by investigations of orality and literacy in black fiction. In his book, Dr. Akoma offers a different perspective for approaching the African New World novel, one which focuses on folklore. Rather than identifying African cultural references in the narratives of some New World writers of African descent, Dr. Akoma contends that these writers may, in fact, be reconfiguring the aesthetics of African oral performance. Specifically, Dr. Akoma looks at four African Caribbean and African American novelists, Roy A.K. Heath, Wilson Harris, Toni Morrison and Jean Toomer. Through their texts, Dr. Akoma seeks to broaden the understanding of the dimensions of folklore and stress the importance of performance art in folklore analysis. He will also consider New World African identity, heightened by the inauguration of Barack Obama, born to a Kenyan father, as President of the United States. Dr. Akoma, who did undergraduate work and a master’s degree in Nigeria, is associate professor of English at Villanova University. He teaches classes on Caribbean and African literatures, postcolonial studies and an Augustine and Culture seminar. His research interests revolve around African oral performance studies. This event opens the Scholarship @ Villanova Lecture Series at Falvey for the spring semester.